There’s so much I can say about this issue. The artwork and illustrations are fantastic! Every story, interview and poem was delivered fantastically as well. (I especially appreciated the essay, “No Grace Allowed” by Elizabeth Sowden) Plus, the reading event on July 16th with the promotion of Volume 2 was totally worth it. Seeing the hodgepodge of writerly and publishing folks at this local event was a treat! 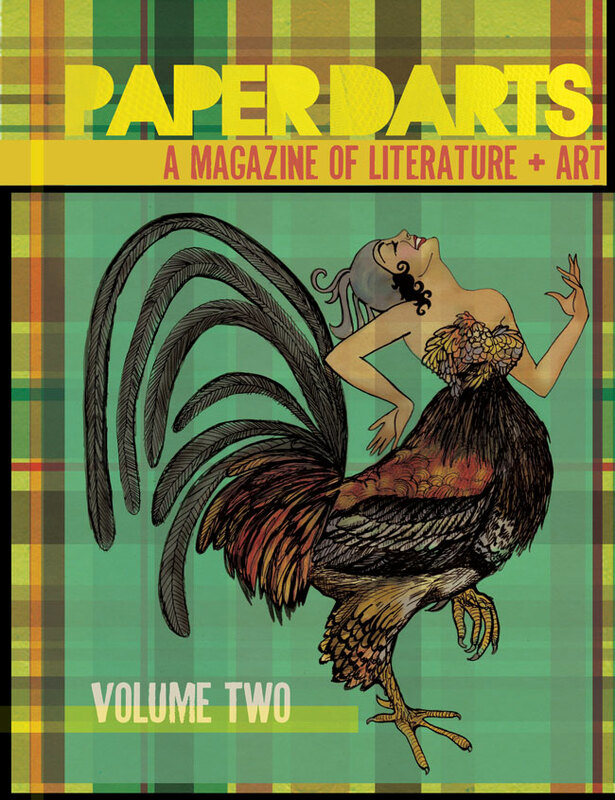 If there’s one thing Paper Darts confirms to me (and the rest of the world) – the Twin Cities is a still a leading hub of creative writers and literary organizations. In the intro of Volume 2, the editors clearly state “That publishing industry is not dying, it is evolving.” I absolutely agree. Paper Darts, count me as one of your local fans. And know I’ll be at your next reading event quietly enjoying the infectious creativity.